Can Two Routers Be Used on the Same Home Network? 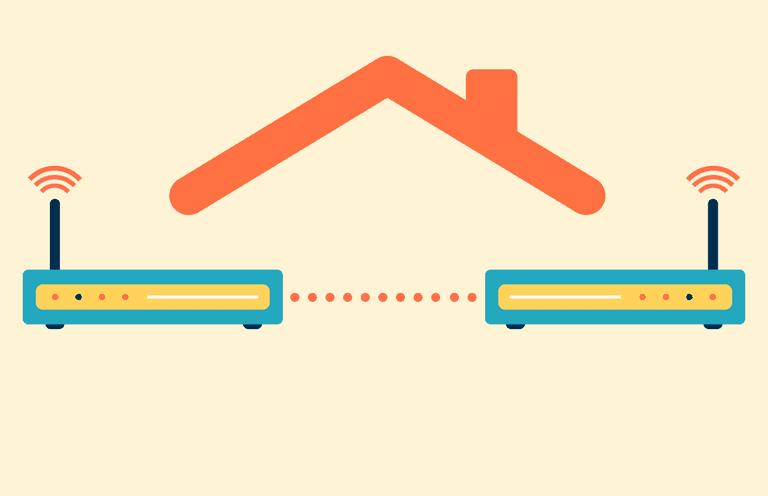 If you enjoy a very large home network, a second router can improve performance. Support for more wired devices: If your first router is the wired Ethernet kind, it supports only a limited number of connected devices (typically only four or five). A second router provides more open Ethernet ports enabling additional computers to join the network. Support for mixed wired and wireless network setups: If you have a wired home network and want to also connect some Wi-Fi devices to it, installing a wireless router as the second router allows those devices to connect while allowing the rest of the network to remain on Ethernet. Conversely, a second router also helps when most clients in the home are wireless, but a few Ethernet devices in one room (like game consoles, and file sharing servers) could benefit from a wired setup. Improved wireless reach (signal range): Adding a second wireless router to an existing Wi-Fi network can greatly extend its reach to accommodate far away devices. Network isolation: If you heavily utilize the network connection between certain computers (such as frequent large file transfers, or LAN gaming), installing those computers to run from one router keeps that network traffic from affecting the other router and all of its attached devices. Linksys EA6500: This is the first smart WiFi router from Linksys and gives owners complete mobile control of their home wireless network. Installing a router to work as the second one on a home network requires special configuration. Setup involves choosing a good location, ensuring the right physical connections, and configuring IP address settings (including DHCP). Instead of adding a second wired router to an existing network, consider adding an Ethernet switch. A switch accomplishes the same goal of extending the size of a network, but it does not require any IP address or DHCP configuration, greatly simplifying setup. For Wi-Fi networks, consider adding a wireless access point rather than a second router.